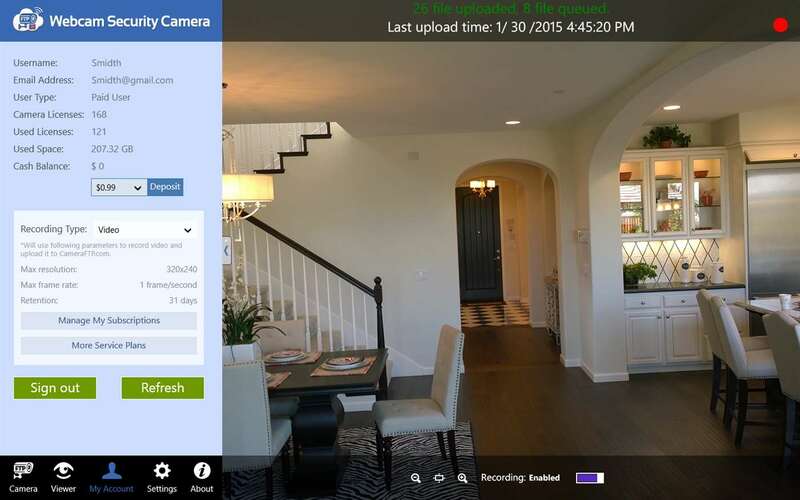 Mobile Security Camera APPs: Use smart phone, tablet or webcam as security camera. Mobile CameraFTP Viewer APPs: View or play back the scene on iPhone, iPad, Android & Windows from anywhere. Virtual Security System Software: Use your PC/laptop as a cloud CCTV / DVR security system. 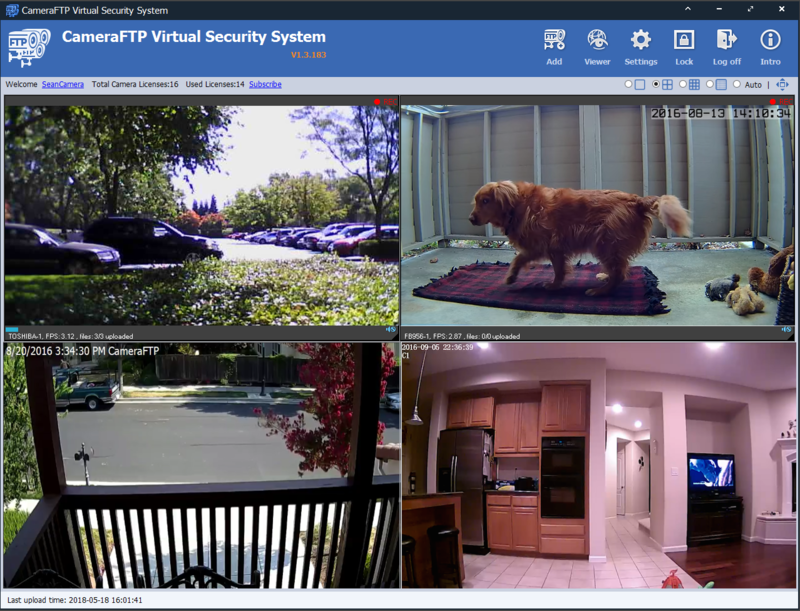 Virtual Security System (VSS) Software - Turns a PC/Laptop into a CCTV / DVR security system; supports multiple webcams and IP cameras. CameraFTP VSS supports multi-channel video / audio monitoring and recording. It supports live viewing like a CCTV system, and it can also record footage to a local hard drive like a DVR; more importantly, it can upload footage to CameraFTP's cloud storage in real-time, making it more secure than regular DVRs. Webcam Security Camera APP - Turns your webcam (and Windows PC/laptop/tablet) into an IP camera. 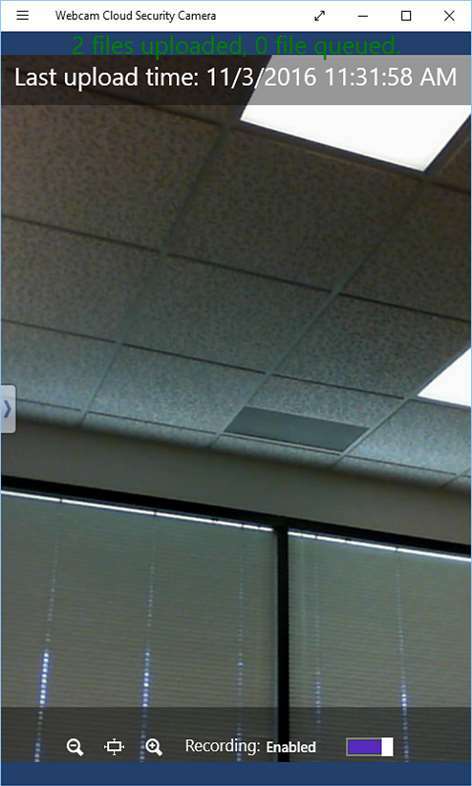 Webcam Security Camera is a Windows Store APP. It is extremely easy to use. It can detect multiple webcams and let you select one to use. It displays the live scene like a CCTV system. You can configure it to record images or video clips. To support multiple webcams or IP cameras at the same time, please use CameraFTP VSS software. CameraFTP Viewer - Live view or play back your recorded footage on Windows. Configure a camera(s) to upload to CameraFTP Cloud Storage first, then you can use CameraFTP Viewer to view or play back the recorded footage anywhere, anytime. 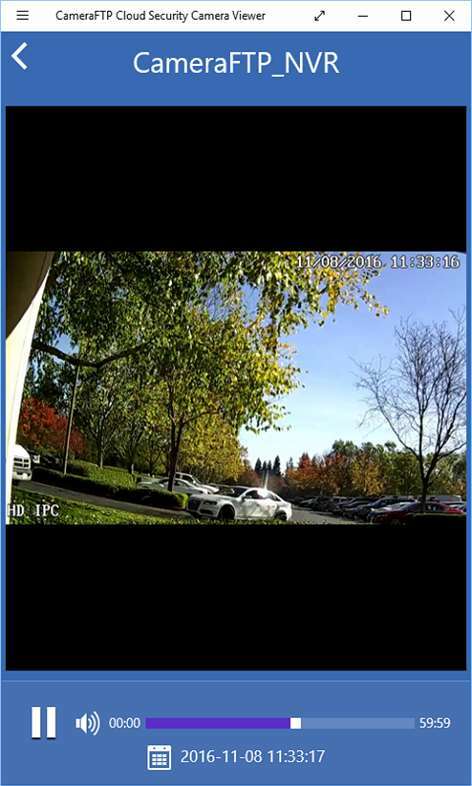 CameraFTP Mobile Security Camera is very easy to use. It displays the live scene like a CCTV system. You can configure it to record image snapshots or video clips to the cloud and view the recorded footage from anywhere. 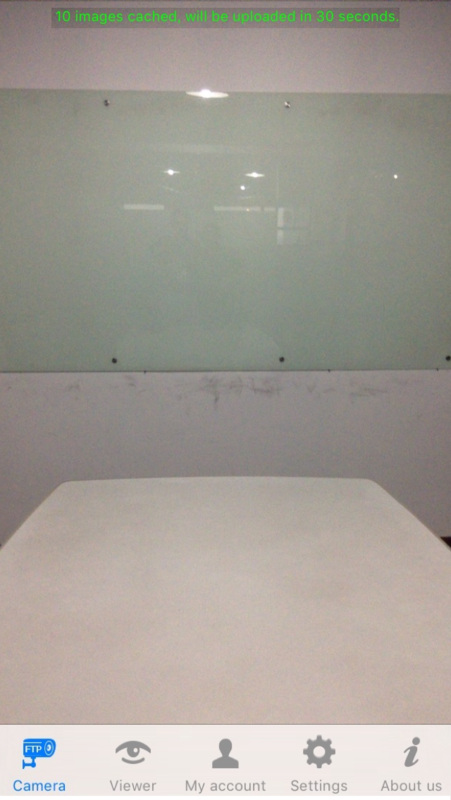 CameraFTP Viewer - View recorded footage on iPhone / iPad anywhere, anytime. 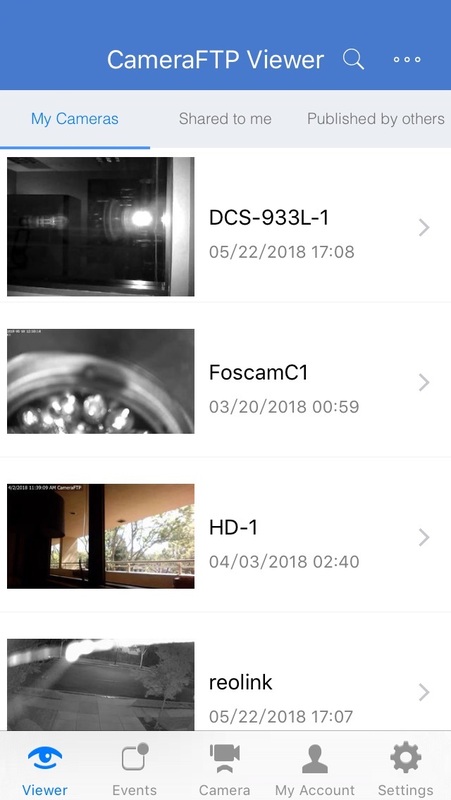 Configure a camera(s) to upload to CameraFTP Cloud Storage first, then you can use CameraFTP Viewer to view or play back the recorded footage remotely. It can be used to view shared or published cameras. 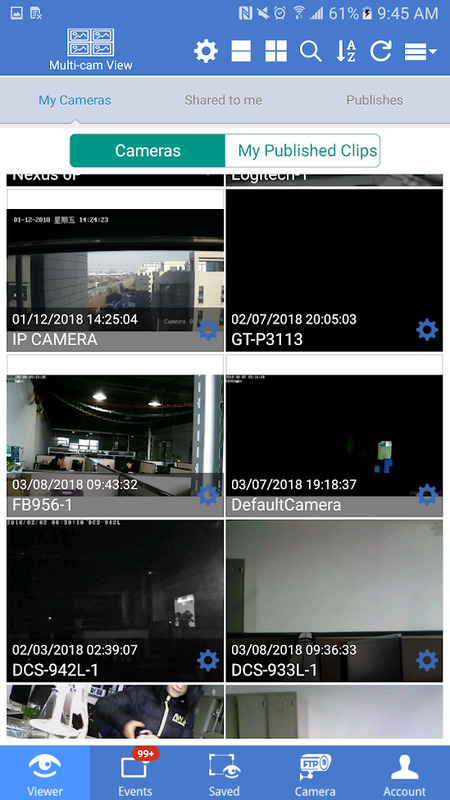 CameraFTP Viewer - View recorded footage on Android device anywhere, anytime. 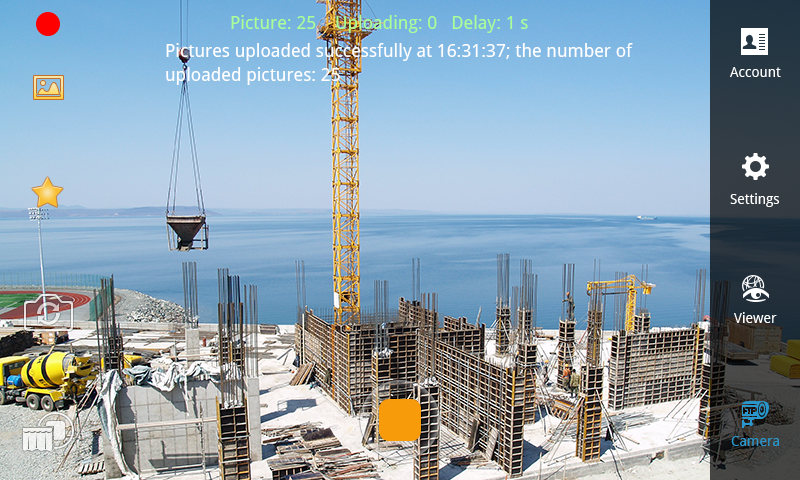 CameraFTP Viewer - View recorded footage on Windows mobile phone anywhere, anytime.